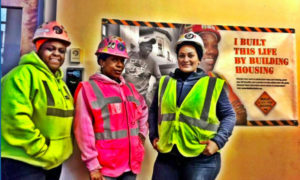 You are invited to a panel discussion inspired by National Women’s Month, celebrating the power of women of color in the construction trades. NEBiP’s philanthropic mission supports the investment into entrepreneurial workforce development initiatives that empower communities with non-traditional jobs. Join us as we explore exciting developments in the Massachusetts landscape. RSVP here.